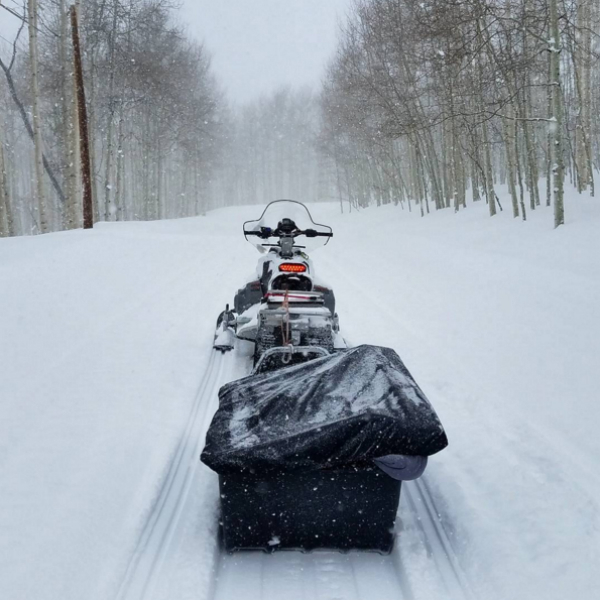 Just another normal day at work - transporting new paintings into Gallery MAR via snowmobile. In a snowstorm of course. Here, I'm transporting two paintings, which are each wrapped in a blanket and then strapped into our trusty toboggan. I snowmobile them about one mile from my studio out to my car, and then drive them to the gallery.